Skyline Paving wants to be your go-to paving contractor in Harrisonburg VA. Our paving services are available throughout Harrisonburg, Sunset Heights, Beacon Hill, and Chestnut Ridge. Residential- Our residential paving contractor services are designed to maintain your driveway, patio, and anywhere asphalt exists on your property. Commercial- We offer complete commercial paving contracting services for everything from parking lot replacement to asphalt repairs and more. Tar and Chip - We also offer installation of tar and chip parking lots or driveways- a less costly, yet durable option, for homeowner, industrial and commercial clients. Asphalt Maintenance- Before your asphalt starts breaking or developing potholes, give our team a call for top-rated asphalt maintenance. Crack Seal- We’ll help your asphalt stay in great condition with our crack seal services. Asphalt Replacement- When your asphalt is degrading, we offer asphalt replacement services to ensure your asphalt is always in the best possible shape. Asphalt Repairs- Asphalt is highly durable, but it also requires repairs to keep it in good condition. We offer fast and easy asphalt repairs when you need them. Are you ready to connect with an asphalt contractor specialist who has the knowledge and honesty to provide superior asphalt services? We are a local, experienced and affordable asphalt contracting team that is eager to gain your trust by sending superior consultants to evaluate repair or replacement of troubled asphalt pavement on your property. Connect with us today for more information. Asphalt Driveway Replacement- When your driveway’s asphalt is in need of a total replacement we have the skills and tools to help. Local Asphalt Services- If you live anywhere in Harrisonburg VA, we are happy to provide local asphalt services to get you on track. Sealcoating and Crack Filling- Turn to our team for total seal coating and crack filling services. Repairs and Maintenance- Our goal is to provide maintenance and repairs that ensure your asphalt is in perfect condition. Our residential paving services range from driveway replacement to minor repairs and sealcoating services. We strive to be affordable in our local market to guarantee you receive the very best from our top-rated service. Parking Lot Paving- When your parking lot is full of potholes and damage it’s time to hire someone like us to provide commercial paving services. Parking Lot Replacement- If your parking lot is too far gone to be salvaged, we happily provide parking lot replacement services to guarantee you get the best results possible. Walkway- Keep your walkways looking great with our commercial paving services. Choose our team for high-quality commercial paving services that make your business look great. Whether you need a total parking lot replacement or if you require asphalt repairs or something more, we are happy to help. 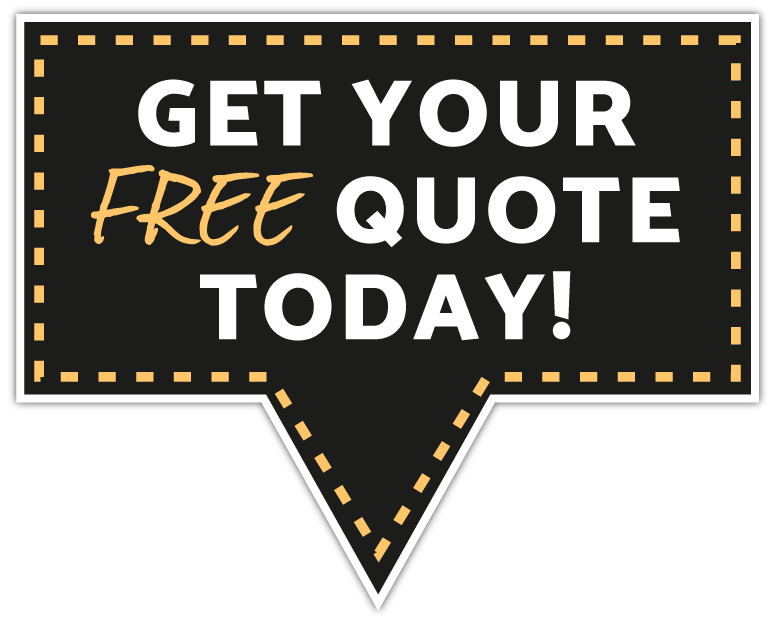 Connect with us today for a free estimate. Check out our friends for a commercial paving company in North Carolina. Preventive Maintenance- Your business or non-profit organization needs a team of experts to keep up with preventative maintenance, and we want to be that company. Asphalt Replacement Services- When your asphalt needs to be replaced we can provide affordable services to get the job done. Driveways & Parking Lots- Your driveway and parking lot say much about your business. We’ll help ensure it always looks great with our driveway and parking lot services. ​Businesses and non-profits can turn to our team for high-quality paving services. We are highly skilled and proficient with asphalt pavement and provide a variety of services for affordable maintenance and repair. Asphalt Paving- When you’re ready to pave your parking lot with new asphalt, we are happy to help. Pothole Repairs- We provide pothole repairs to keep your parking lot free of damaging potholes. Sealcoating- is a high-quality service that keeps your asphalt looking great and extends it lifespan. Parking Lot Striping- When your parking lot needs to be striped, we would be happy to provide that service as well. Our parking lot paving services are here to keep your business in great shape. Whether you are looking for asphalt paving, seal coating, pothole repairs or striping, we are happy to help. Contact us today for a free estimate for our affordable services. Asphalt Pothole Repairs- Our asphalt pothole repairs are designed to last and we back up that claim with a guarantee. Resurfacing- When your driveway needs resurfacing, we are here to help. Driveway Replacement- If you are need of a total driveway replacement, we are happy to help. Our job is to provide affordable, local, and top-rated driveway paving services for your home or business. Protect your business and your vehicles with high-quality driveway paving services through our team. Driveways- Tar and chip paving can be used for driveways at a more affordable rate than asphalt. Walkways- Keep dirt out of your home or business with tar and chip paving on your walkways. Trails- Create a more enjoyable trail around your home or property with tar and chip paving. Roads- Tar and chip paving can also be used on roads to reduce dirt and grime kicked up from dirt roads. When you are ready to enjoy a higher quality road material without sacrificing on the durability of what you need, then our tar and chip paving services are the best for your needs. Reach out to our team for a free estimate for the services you need. Basketball courts- Basketball courts wear down with time, but our paving services ensure that it always looks its best. Tennis courts- Tennis courts too require a specialized treatment to repair and replace, and we can handle that service. Play Areas- Your child’s play area requires the utmost safety. Our specialty paving services guarantee the safety of your child’s play areas. Our affordable specialty paving services ensure your property is always paved to the highest quality standards available. Turn to us for the best local specialty paving services and more. The Great Migration Road over the Cumberland Gap also known as The Wilderness Road passed through what became the center of Harrisonburg (Court Square). First the road was a buffalo path and game rout traveled by Iroquois and Cherokee hunters. Settlers mostly of Scots and Irish decent followed the path generally during the winter when they would be less likely to run into conflict with Indians. These settlers were leaving lands of poverty and battle strife looking for a new beginning, hopefully, leading to peace and prosperity for their families. The road is now interstate 81 which runs along Virginia’s western edge in the Shenandoah Valley, traveling through picturesque curves and hills all the while offering stunning views of the mountains in the distance. The Heritage Museum directed by the Harrisonburg-Rockingham Historical Society is a 14,000 square-foot museum, designed to reflect the exterior of a 19th century Shenandoah Valley farmstead, it has been partially below ground level to minimize their visual impact on the surrounding Dayton’s Historic District. All levels are handicapped-accessible in the main galley. Read about the Native American artifacts recovered from a farm near Cross Keys, meander through a replica of an 19th century potter’s kiln and learn of the historical impact during the Civil War. Especially the tragic events in the fall of 1864 exhibit called Harvest of Flames for 13 days. The Union forces, under the command of General Grant, set torch to the rich farmlands in scorched earth warfare to destroy the Confederate’s food supply and bring about the end of the Civil War. Harrisonburg VA is a vibrant and diverse area that has an incredible culture. The city has an expansive arts and cultural scene that people from around the area come to experience. Over 52,000 people call Harrisonburg home- many with family roots that go back to the settlers. Harrisonburg and Rockingham County have many bike friendly destinations offering wonderful rides on and off road. You could bike the Valley, float the Shenandoah River with Massanutten Adventures, hunt and fish in the George Washington/Jefferson National Forest or enjoy camping and horseback riding in Shenandoah National Park.